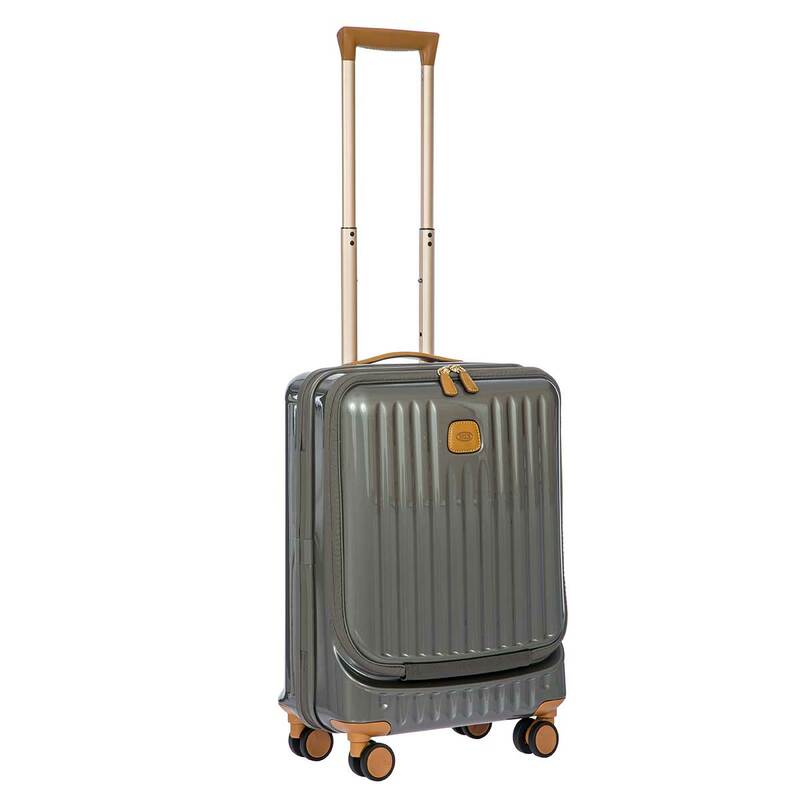 21" Spinner w/ Pocket from Bric's CAPRI collection. Made in embossed synthetic material. 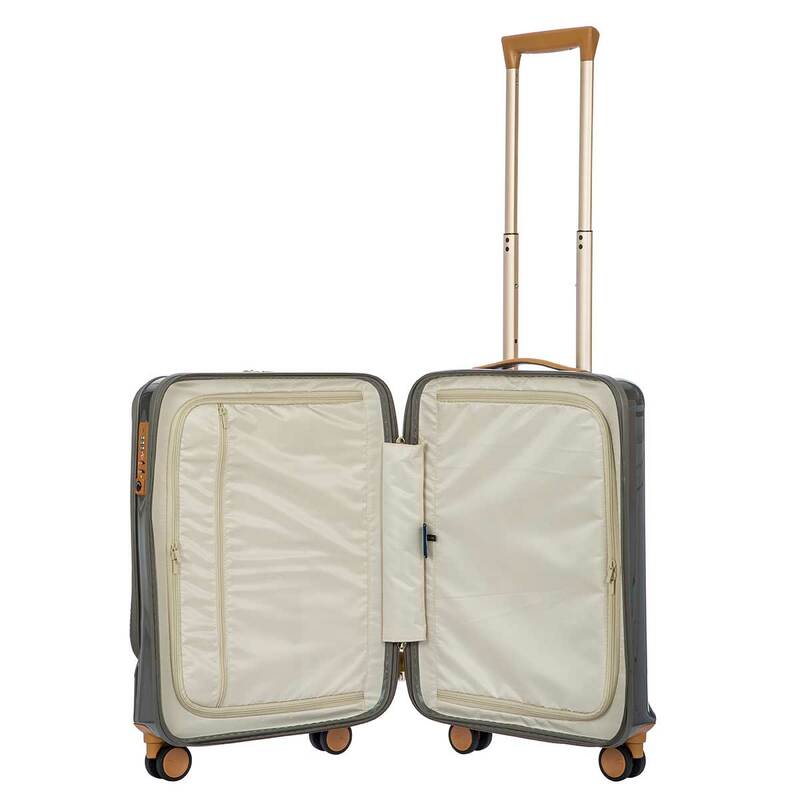 Durable and easy to clean, perfect for people who are always on the move and look for practicality and comfort. 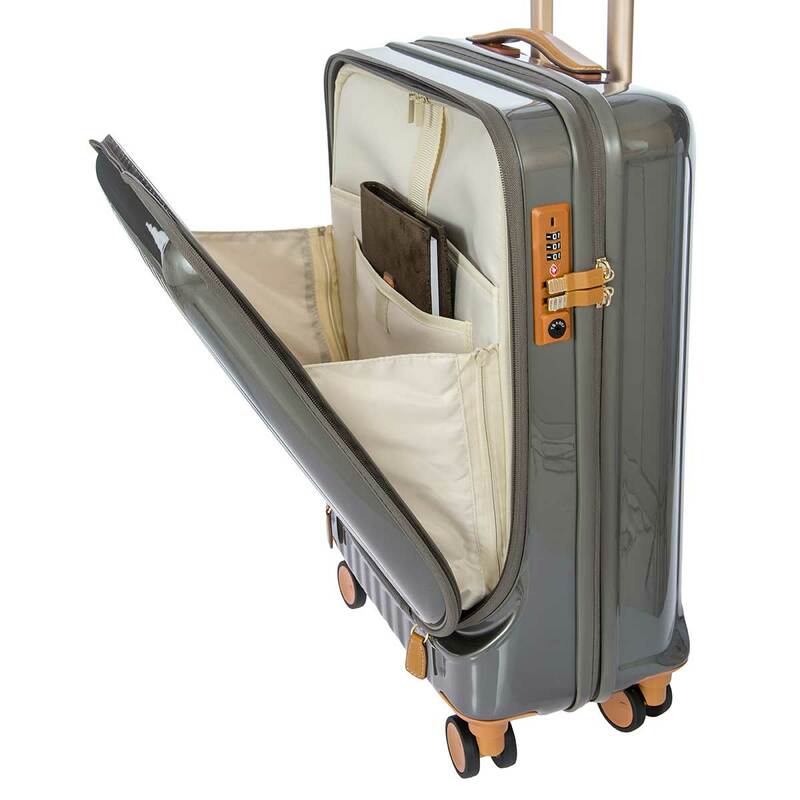 Its dimensions allows it to take it on the plane with you as hand luggage. EXTERIOR: made from Makrolon® polycarbonate a lightweight, flexible and ultra-resistant material, offers a large zipped front pocket with rounded edges containing an organiser, which can be accessed without having to open the trolley and two padded pocket for both laptop and tablet or other documents; a top leather handle allows it to be carried by hand; the 4 wheels guarantee a smooth and quiet 360 movement. HANDLE: comfortable and functional pull-along handle with three intermediate stop positions that can be selected via a press-stud button. Now even more ergonomic and easier to handle. INTERIOR: lined interior divided into two compartments. 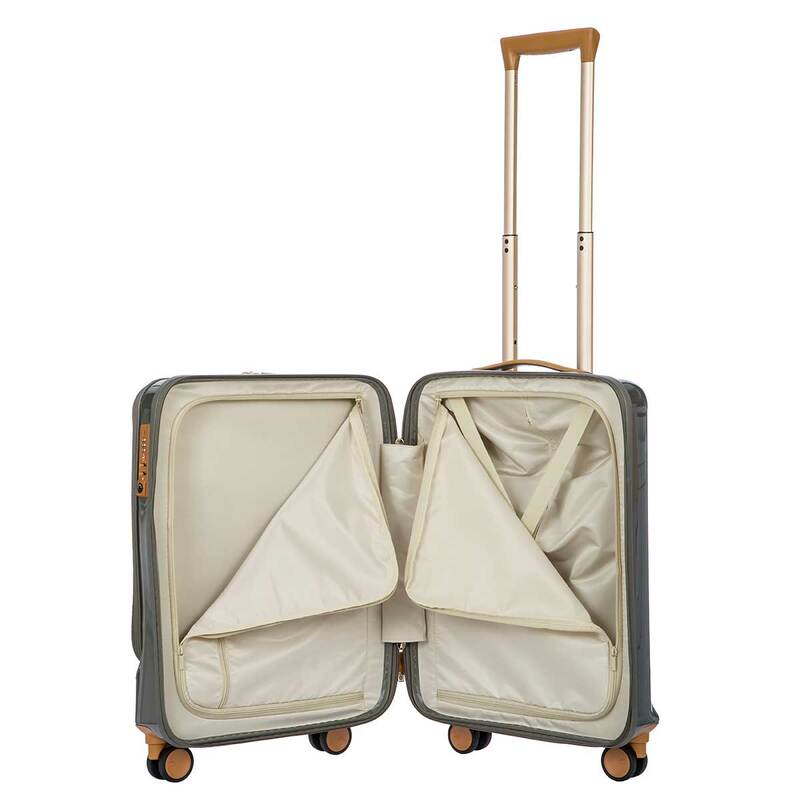 Both easily closed by a zipper, include a zipper pocket, on one panel, and an elastic strap to keep your clothes in place while traveling. 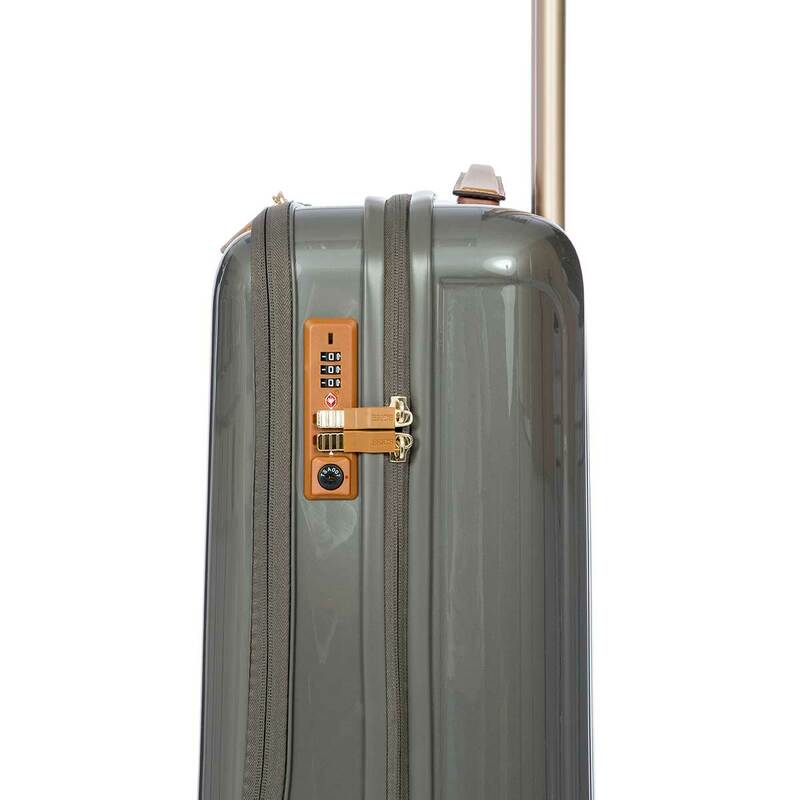 LOCK: features a built in TSA lock, a requirement for all luggage when traveling in the USA; it allows American airport security (TSA) to inspect it without damaging the trolley. 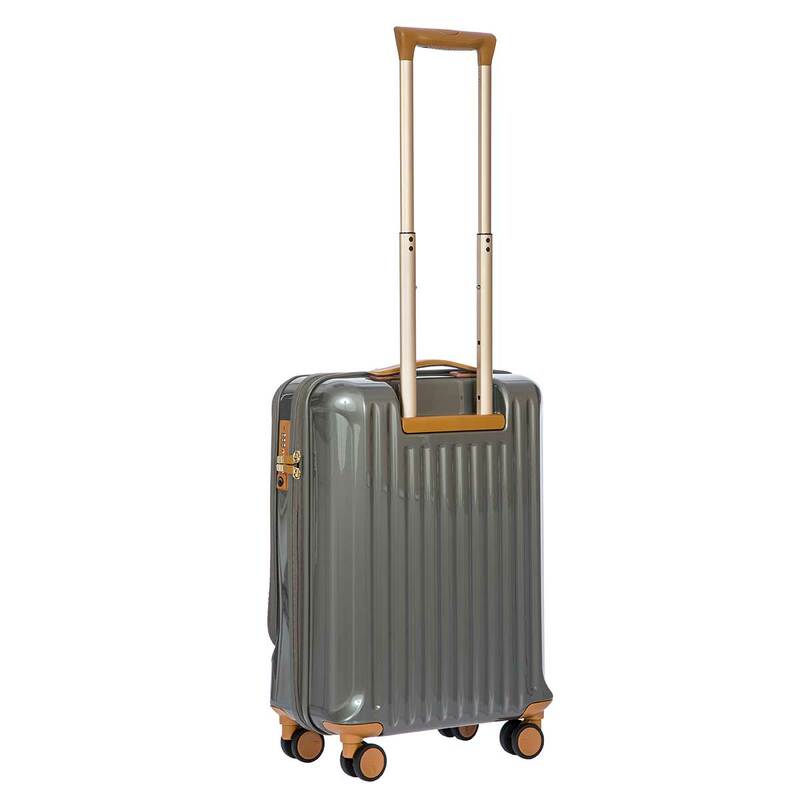 WHEELS: 4 double wheels made by Japanese brand Hinomoto feature a new design and a wider radius make an smooth and easier 360° rotation in all directions. The wheels have been designed to be replaced externally with a simple screwdriver. DETAILS: vegetable tanned Tuscan leather trims like the Bric's logo and the top handle; leather address tag inlcuded. 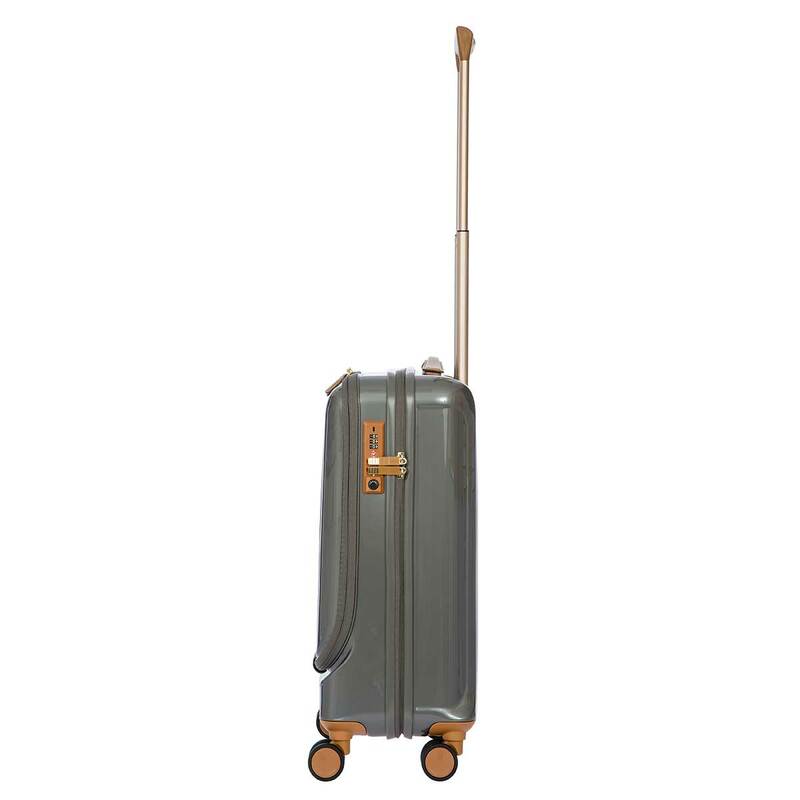 Capri carry on Trolley is a lightweight 4-wheeled spinners, constructed of durable polycarbonate a flexible and temperature-resistant material. 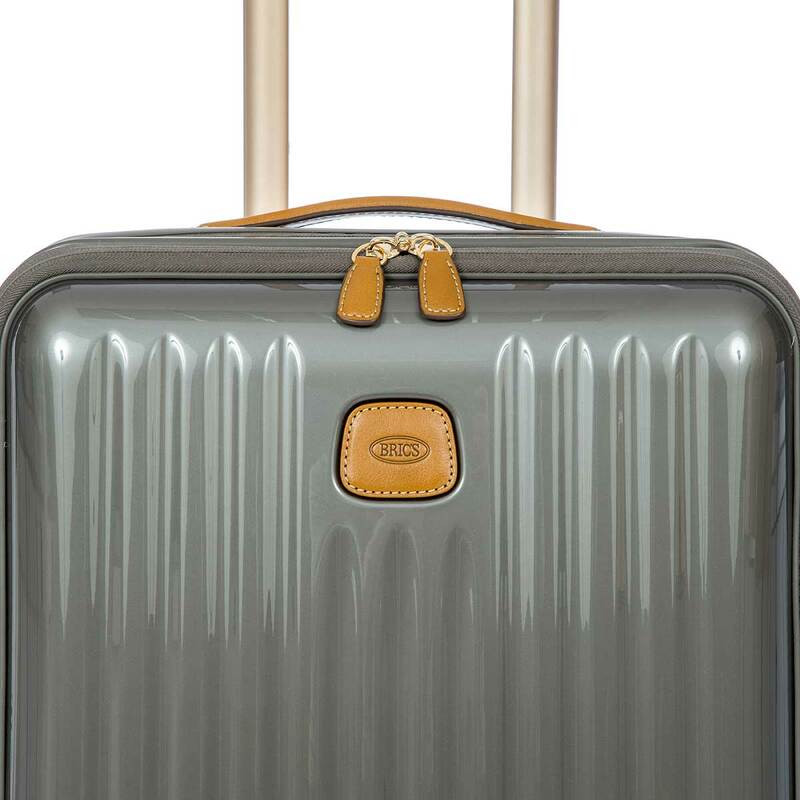 Featuring YKK zippers and sleek multi-stage pull-up handles. 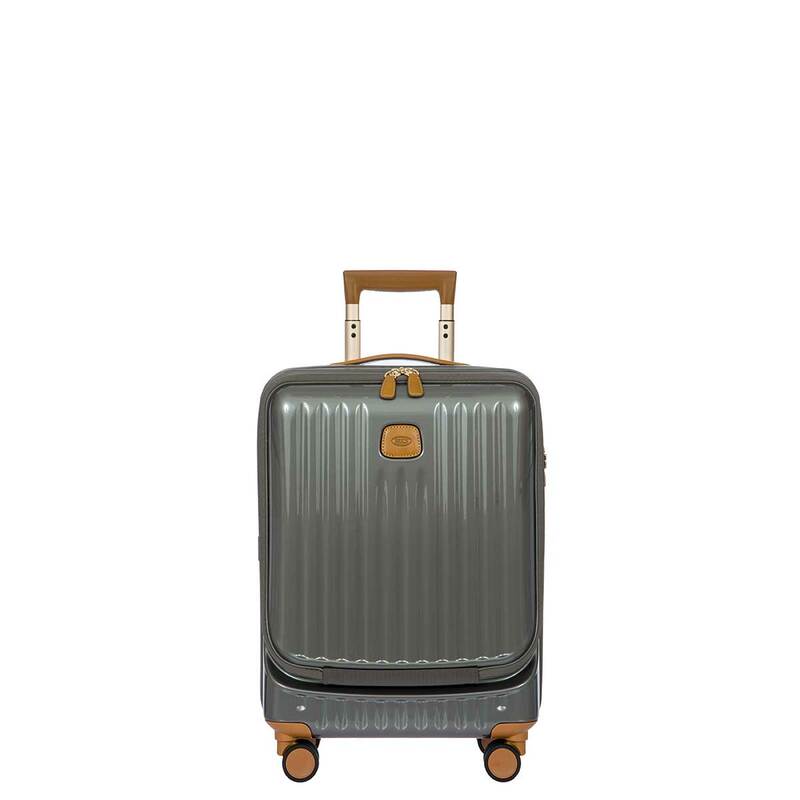 The interiors feature spacious inner compartments with water-resistant nylon. 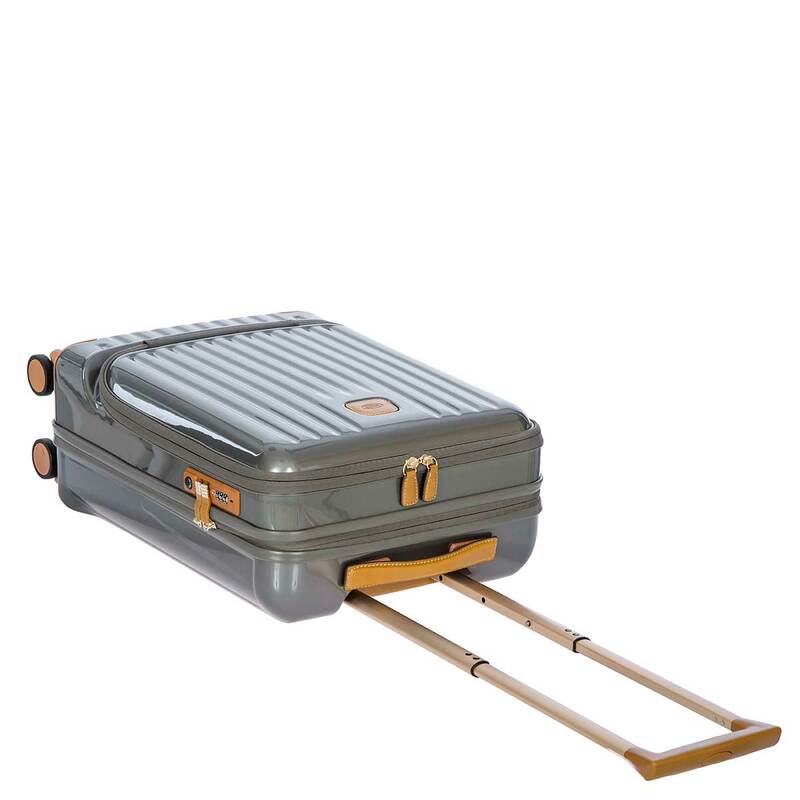 Featuring a built in TSA Combination locks to keep personal items secure, that still complies with the current TSA regulations. 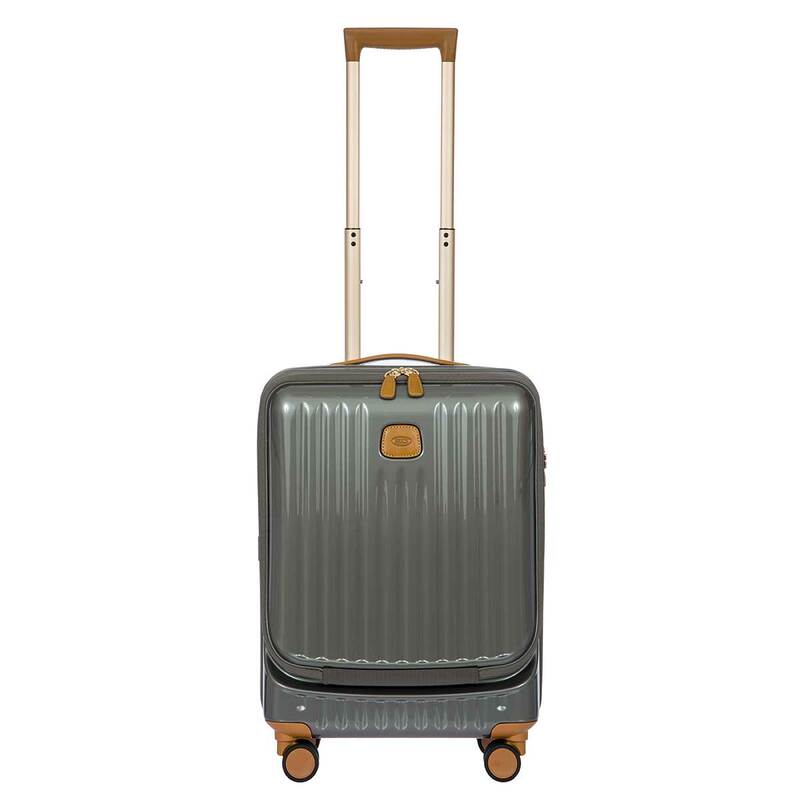 Trimmed in Full Grain Tuscan leather with Japaneese Hinomoto spinner wheels this collection is a elegant as it is functional.